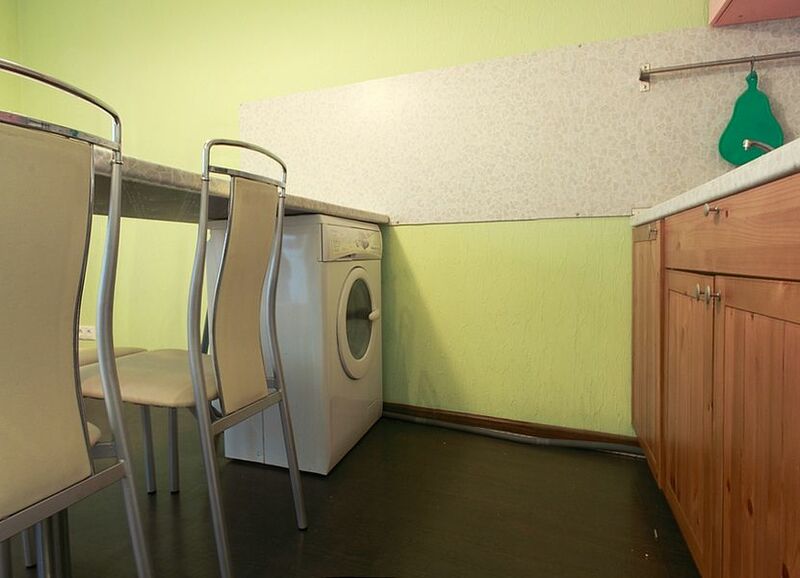 Studio-apartment has an original layout. 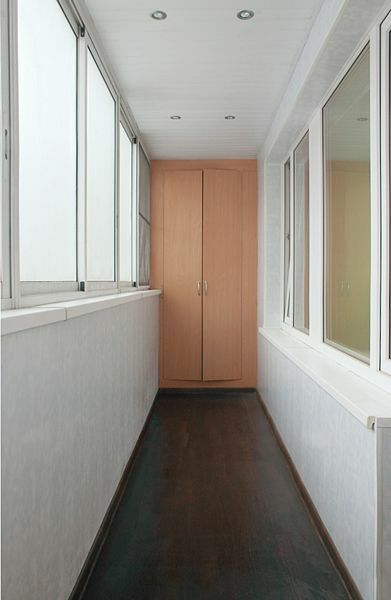 Double bed in the alcove is separated from the room by curtains, which makes the apartment suitable to accommodate two couples or individuals. 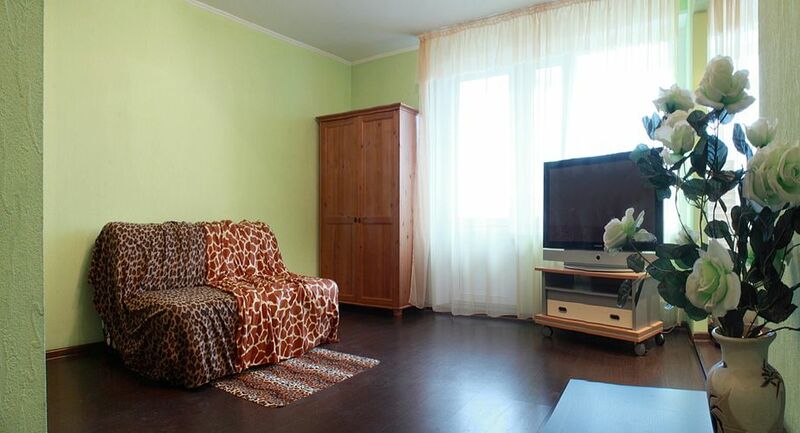 In another part of the room there is a sofa, a coffee table, a dresser with a TV, wardrobe. 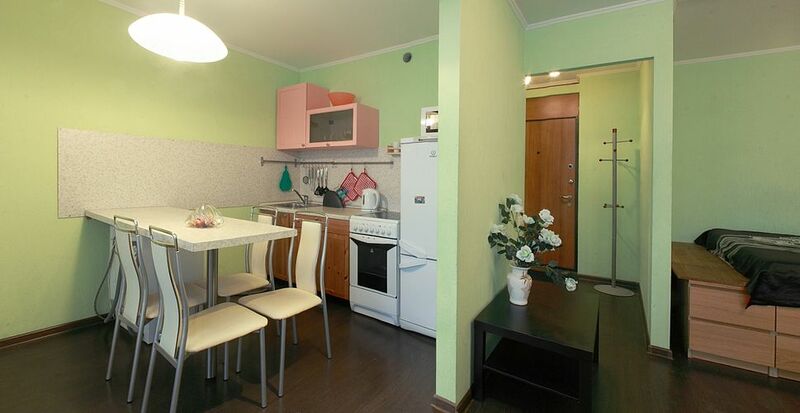 In the kitchen there is a kitchen set and a dining area in the form of bar with chairs. 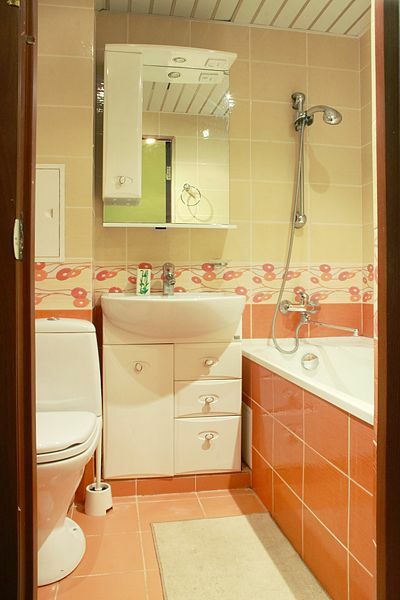 A bathroom is combined with the toilet and tiled to the ceiling, made as per European standards. 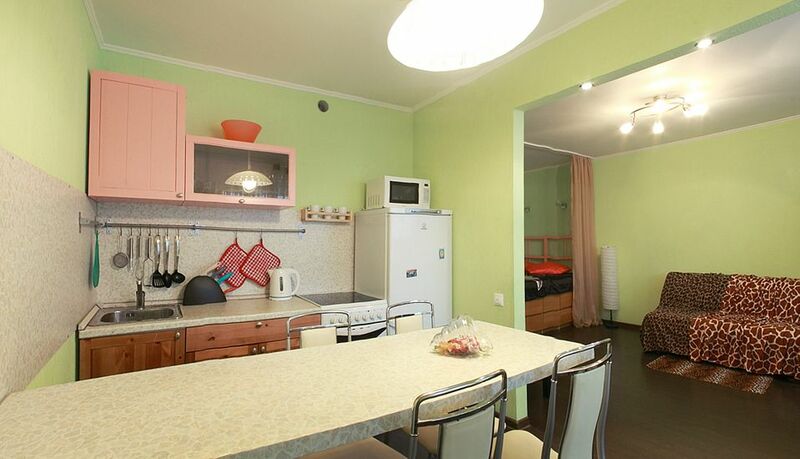 The apartment has a huge balcony and a comfortable hall with a hanger for clothes. - . , . , , , . . , . .